On the advice of a close friend, I recently took a two week trip to Vietnam. 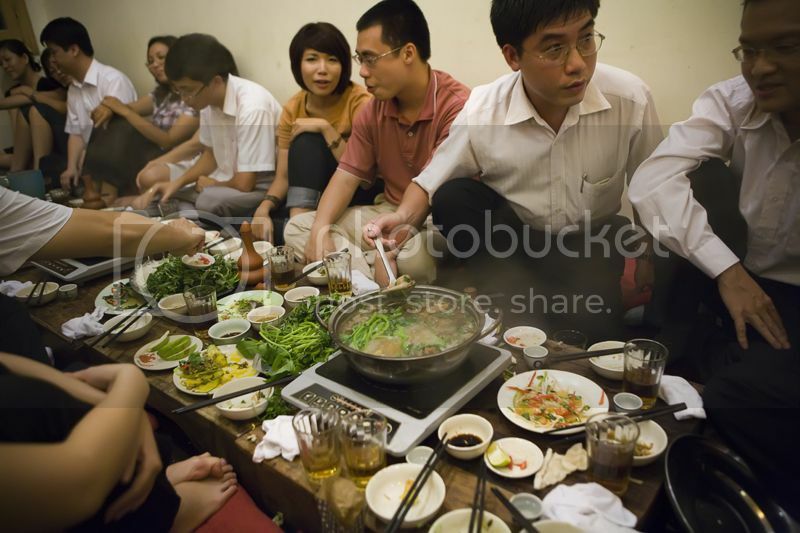 I spent the first days of my trip in Hanoi and found the city truly enchanting. I found myself surrounded by friendly locals, beautiful views and amazing food. My hotel was located in the Old Quarter of Hanoi. I can’t imagine a better spot for people watching or shopping. I got up early so I could better explore the area by beating the crowds of tourists. The French Colonial architecture was gorgeous and the air was ripe with the smell of mouthwatering local delicacies. After walking for a bit, I was hungry and decided to sample some Cha Ca (fried fish) and Bun Dau Mam Tom (rice noodles with shrimp sauce). Absolutely delicious! 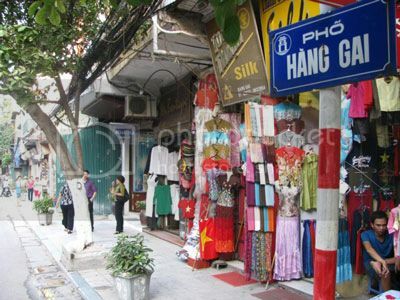 Next on my list of top 5 things to see in Hanoi is Hang Gai Street (also known as the Street of Silk), which is nestled in the Old Quarter. Walking through Hang Gai is an amazing experience to say the least. There are loads of shops selling exquisite fabrics, ties, dresses, scarves and so much more. The silk, the colors, the people; it’s overwhelming in the best way possible. Take your time and exploring Hang Gai at a leisurely pace. Even if you aren’t in the mood to shop, it’s worth it to spend some time exploring a street so full of life! 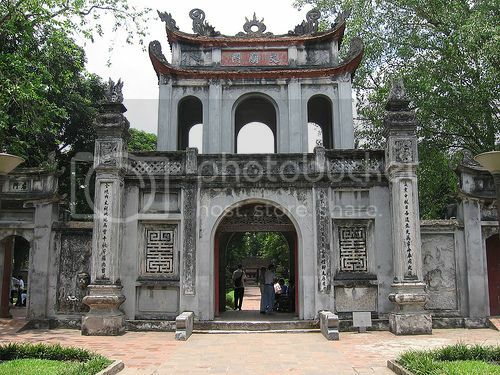 If the hustle and bustle of busy Hanoi leaves you needing a rest, spend some time at Quan Thanh Temple. This quaint Taoist temple has an air of peace about it that is hard to put into words. There are several buildings featuring ornate carvings, antiques and statues. The best part of the experience was watching the locals pray and leave offerings to the gods. That combined with the sweet smell of incense really brought this lovely place of worship to life. 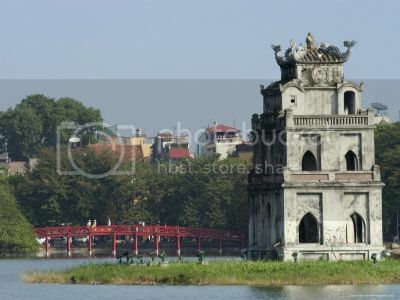 I asked the staff at my hotel what I should see while I was in Hanoi and they rather enthusiastically recommended Hoan Kiem Lake. It wasn’t hard to see why. 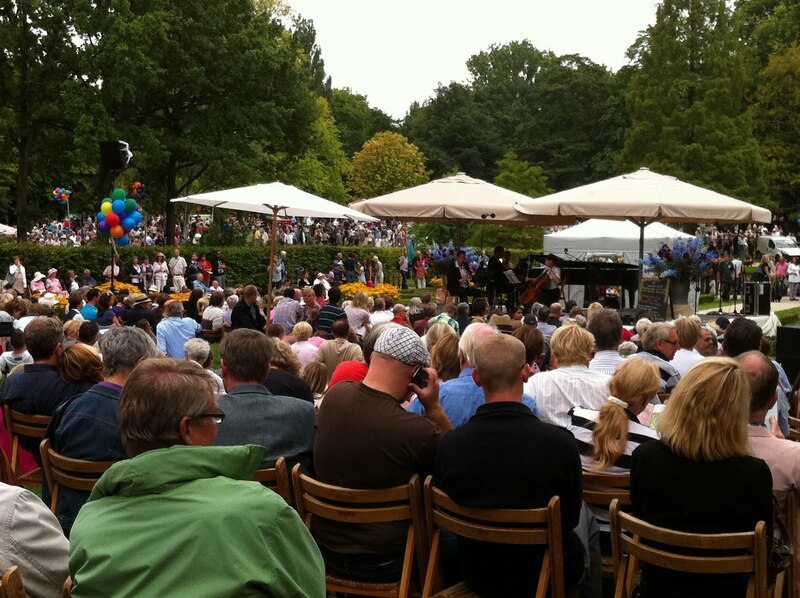 The atmosphere was lovely during the day and even more magical at night. Pathways shaded by avenues of trees, a cool breeze blowing off the water, scores of people laughing and taking photos and a beautiful Pagoda standing on an island in the center of the lake. It was just perfect. On my last night in Hanoi, I went to the Golden Bell show and was blown away by its beauty. 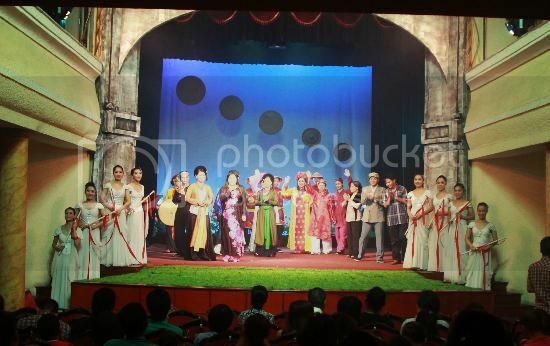 As the show progresses, you are led on a cultural journey through the use of traditional Vietnamese song and dance. The costumes were spectacular and the performers excellent. The play - and translation - offered a look into the values of the Vietnamese people and by the end I felt a whole new appreciation for the locals. Don’t miss out on this fantastic experience! It’s really hard to explain the beauty of Hanoi. The buzz, the traffic, the people, it’s all so unique! 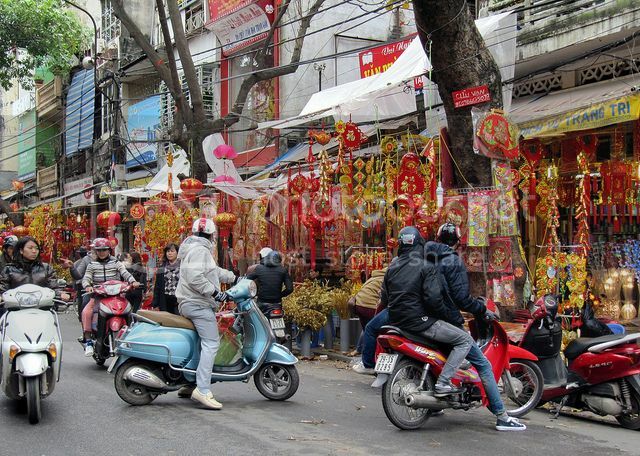 If you’ll be visiting Vietnam anytime soon, take some time to travel through Hanoi and soak it all in. You won’t regret it! As a freelance travel writer for Holiday Place, James Corporal enjoys sharing the stories of his journeys with anyone who will listen. When he’s not trekking through foreign countries, he enjoys fishing and working on his classic corvette.